Nikki is a compassionate, adventurous, loving ,down to earth mother of two beautiful children . She enjoys the quieter side of life, reading, writing, music gardening ,yoga spending time in nature and laughing with my kids. I am passionate about inspiring, teaching, guiding others to live their lives in full expressions of who they are. 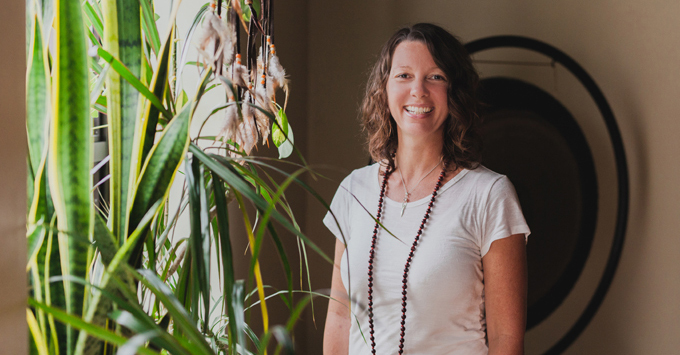 She is currently enrolled in Kundalini Level I with Devinder Kaur and is enjoying the transformation that is occurring in her life as a result. She is very excited to be starting a new beginning in her life in this beautiful place surrounded by so many conscious souls. Nikki’s background is in the customer Service Industry and the Health Care Field, where she spent 12 years , caring for the elderly and Developmentally challenged adults with time off in between to be a stay at home mom caring for her children. As far back as she can remember she always seemed to be taking care of others. Learning allot about how to give and receive ‘Love” Love can be given in the smallest of ways just a smile can change some ones perspective on their day, issue or life. Through challenges in her own life/ work/ family relationships, she decided to dive deeper into herself to become more aware of her own places of dis-ease. So she embarked on many years of self -discovery workshops that helped with physical, mental, spiritual, emotional release, Intuitive training, and crystal workshops. She also became a Certified Reiki Master, Master Instructor of Intergrated Energy therapy . Life Coaching she is train trained in Shamanic Healing practices and has taken Mother/womb Healing Workshops as well. As she did this, she was able to relax into herself, she fell in love with herself, her kids, and life again everything became more pleasurable. 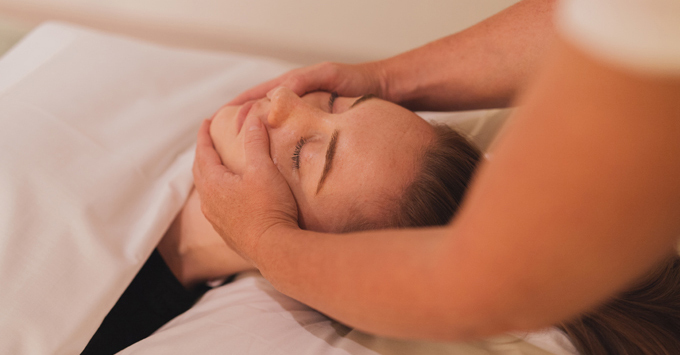 Nikki began living life more freely, compassionately, authentically realizing that the practice of self love is vitally important to our wellbeing, so we can continue to give to others. 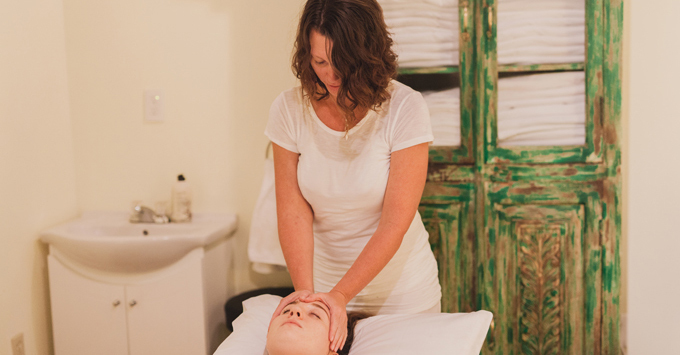 Last year She took her Indian Head Massage training with the Canadian Indian Head Massage Institute. to relax her ‘monkey” brain and move into the art of Auvryvedic massage. Up until now she has been practicing out of her home. Nikki is whole heartedly dedicated to creating a work/ life/family balance within so she can hold space for others to be held in place of serenity as they carve out time for self-care in their own lives. Having a deep awareness of the mind body soul connection and if one these are out of balance, this can create much dis-ease in our lives .It important for us to honor ourselves with self-care so we are better able to handle the stresses we encounter, to greet each day like it’s a gift. I am grateful to be in service of”love”. “Every day, you can offer a devotional love to your body. When you take a shower, when you take a bath, treat your body with all your love, treat your body with honor, with gratitude, with respect”.